The Pacers' greatest strength is their chemistry, the unique spirit and bond that enabled them to surpass expectations last season and is readily apparent to anyone who spends a day or two around them at practice or in the locker room. The disruption of that chemistry, therefore, stands as the greatest threat to their upcoming season, the one thing – other than health – that potentially could prevent them from improving upon a 48-win season and first-round playoff exit. And, the likeliest source of that disruption is easy to identify, right there in an office somewhere at Bankers Life Fieldhouse in black and white. Seven of the players expected to be among the top 10 in court time during the upcoming season are in "contract years," a status that sometimes inspires effort but other times corrupts intentions. Thad Young, Darren Collison, Bojan Bogdanovic and Cory Joseph are in the final season of their contracts. Tyreke Evans and Kyle O'Quinn signed one-year deals in the off-season. 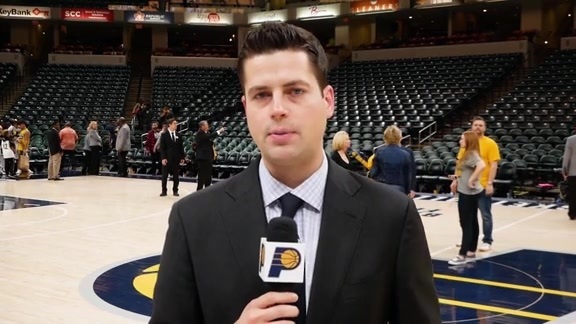 Myles Turner is eligible for an extension of his rookie contract, although the Pacers will have the right of first refusal next summer if the extension deadline of Oct. 31 passes without a signature. Kevin Pritchard, the Pacers' president of basketball operations, says that's the topic he, his executive staff and coach Nate McMillan "obsess about the most." McMillan acknowledges contract years can be "a blessing or a curse" and can unsettle team chemistry. The issue, and to some degree the Pacers' season, comes down to whether the contract players keep the team's best interests in mind or if they play with the assumption scoring more points will attract more dollars in free agency. Pritchard confronted the issue head-on in his individual off-season discussions with players, and McMillan did the same at Monday's team meeting. "We're not going to get caught up in individuals playing for contracts," McMillan said following Tuesday morning's initial workout. "That's not going to happen. You'll be an outcast if you play that style of basketball." The Pacers aren't the only NBA team facing this potential predicament. 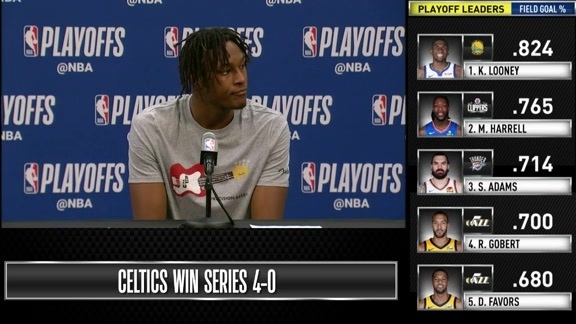 Boston, the favorite to win the Eastern Conference, has eight players who are either in the final year of their deals or will have options (either team or player) after the season. Most teams have key players in similar situations. Nearly half of the free agent contracts signed around the league in the off-season were one-year deals, and most teams have at least one star player looking forward to having freedom next summer - including the likes of Kevin Durant, Kawhi Leonard, Kyrie Irving, Al Horford, Klay Thompson, Jimmy Butler, DeMarcus Cousins, Kristaps Porzingis and Kemba Walker. McMillan is optimistic about the Pacers' ability to handle the issue, and not just because of the emphasis he's placed on it. He also can call upon his the experience as a player with Seattle in the 1995-96 season. The SuperSonics had seven free agents that season, yet won 64 games and reached the NBA Finals, where they lost to Chicago. "I look back on the season and it felt easy that year," McMillan said. "Everybody came in and did what they needed to do. We didn't have guys late, we played the right way, we played hard, we didn't have anybody disrupting. … they knew they had to do the right thing. Some good things can happen in situations like this." Young's experience on a team loaded with impending free agents wasn't as good. He recalls a season in Philadelphia when players played for their contracts rather than the won-lost record. "You had a couple of guys that took a few more shots," Young said. "Some of those swing-swing passes turned into just one swing." A player overly focused on his stats in a contract year would be naïve to believe he's impressing future employers by being selfish. Few teams are going to be fooled by someone taking bad shots or disrupting an offense to look for a shot. But, as McMillan has pointed out a few times, it only takes one distracted player to stain a team. The challenge will be to keep the number at zero. "If a guy is coming out and playing for a contract, all it takes is one," McMillan said. "Regardless of whether you have one, two, five seven … the message is going to be the same." In other words, play the right way. If the players with expiring contracts are all motivated toward positive characteristics rather than selfish motives, the situation becomes the "blessing" McMillan referenced. Young, who could be one of the players focused on his stats, says he plans instead to be one of the enforcers of a priority on team play. "At the end of the day, we understand it's about feeding your family, it's a business," Young said. "But if you've proven you can help a team win, it all works itself out. 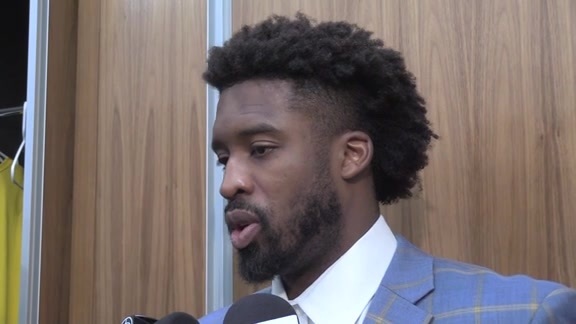 "We kind of explained to the new guys, we have a good thing here, we have a great organization, we have some structure, we have a culture that we've built. If they can't get on board with the culture, we're going to keep this thing moving without them. It's kind of like one of those tough-love things."